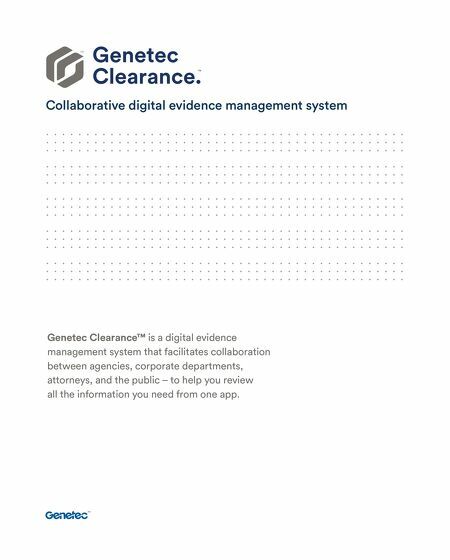 Genetec Clearance Simplify case management and speed up investigations Collaborative investigation management The increase in evidence gathered from surveillance systems, body cameras and civilians can help solve crimes. However, it also presents new challenges for the investigation process. With a digital evidence management system that facilitates collaboration between security departments, outside agencies, and the public, you can overcome these issues and speed up investigations in a cost-effective manner.